Schumer calls on the VA to end disconnect between the Feds discharging vets & the localities that distribute property tax credits to them. July 29, 2013 - Nassau County, NY - U.S. Senator Charles E. Schumer today launched a two-pronged plan to help ensure that veterans returning home to Long Island from Iraq and Afghanistan are receiving critical benefits that will allow them to afford a home and live stable civilian lives. Schumer highlighted data that shows that nearly one in three veterans in Nassau County have not applied for the property tax benefit for veterans that is available to them and worth hundreds of dollars a year, and a disconnect in communication between the Department of Veterans Affairs (VA) and localities that administer federal and state benefits are to blame. Therefore, Schumer first called on the VA to do a better job ensuring that veterans and their returning localities are coordinated and therefore able to get vets the benefits they deserve. Specifically, Schumer said the VA Home Loan division should incorporate New York’s universal property tax exemption form in the materials provided to veterans as they are discharged, to raise awareness of this property tax benefit. Not every state provides property tax benefits to their veterans, but in those that do, Schumer said that the VA should make veterans aware. Schumer also called on the VA to compile and provide a bi-annual list of veterans to the Nassau County Assessor’s Office as they return home. This will allow localities that distribute vets benefits to form a more accurate list of veterans in their region, and to reach out directly when new benefits and services are available to them. Schumer noted that while this may not encompass every veteran that returns home, it will help start to develop a more comprehensive and reliable list of veteran constituents. Second, Schumer asked the Internet Association (IA), which represents Facebook, Google, and Yahoo! among others, to work with local veterans groups to reach younger veterans and boost awareness of benefits in new ways, like advertising campaigns. “Whether it is an existing homeowner that has missed out on hundreds of dollars in veterans’ benefits for years, or a younger veteran that wouldn’t otherwise consider purchasing a home, I want them to know about this benefit so that they’ll jump into the market, put down roots, and give the local economy a boost,” Schumer continued. Schumer explained the existing property tax exemption in New York. Municipalities are able to provide veterans eligibility to receive this exemption from the required property tax rate and the amount of the exemption varies based on whether the veteran served in peace time or in combat and whether the veteran has a service-connected disability. Schumer emphasized that veterans who served at the time of the Persian Gulf Conflict (including Iraq and Afghanistan vets), the Vietnam War, the Korean War, or World War II can receive a 15 percent reduction in assessed value. Additionally, veterans who served in combat zones are entitled to an additional 10 percent reduction and veterans with a service-connected disability can receive an additional reduction equal to one-half of their service-connected disability. Schumer stated that in order to capture and reach additional veterans he wants the IA, with the power of Facebook and Google, to assist. Schumer encouraged the IA and its member companies to collaborate with the State of New York’s governmental and non-profit and veterans groups to help spread awareness of the federal and state veterans’ benefits available to our young soldiers returning home from Iraq and Afghanistan that will allow them to afford a home. IA is a Washington-based lobbying group that represents Google, Amazon.com, eBay, Facebook, Expedia, LinkedIn, Monster Worldwide, Yahoo! and Zynga and other Internet companies, with whom Schumer has a strong relationship. Schumer appealed directly to the IA today because it represents the interests of America’s leading Internet companies and their global community of users, and he believes that this is one of the best ways to reach young veterans, rather than older methods through VFW halls and other methods. Schumer believes that wider circulation of veterans’ benefits should be a top priority for large Internet companies in order to help welcome our youngest veterans’ home and make them aware of their ability to save on housing purposes. Schumer noted his concern that veterans in New York are unaware of these special opportunities and believes the organization can remedy this information deficit. Currently there are 67,872 veterans in Nassau County. Based on data from the Nassau County Assessor’s office, only about 48,000 veterans have applied to receive the exemption. The exemption provides significant savings to current veteran homeowners. To be eligible, an applicant must be a qualified veteran or the spouse of a qualified veteran. To apply, a veteran needs to complete a simple two-page application and submit it to their local municipality’s Assessor office, along with a copy of their DD-214 to affirm they were honorably discharged. If the Veteran is also applying for the extra disability benefit portion of the exemption, they must also submit copies of U.S. Veterans Administration documents to affirm their service-connected disability rating. Veterans only have to apply once and will continue to receive the exemption in subsequent years. Veterans are only required to re-file if they move or their service-connected disability rating changes. An Application for Veterans Exemption from Real Property Taxation must be filed with the local assessor. Veterans should check with local with their local assessor when applications must be submitted in order to meet local deadlines. I write you on behalf of our veterans who would like to become or are in the process of becoming homeowners. It is absolutely critical that our veterans and their families are treated properly and have the opportunity to become a homeowner should they meet specific financial eligibility requirements. Moreover, we must work together to ensure that New York veterans are adequately informed of the benefits that are available to them should they choose to become homeowners, including an important property tax exemption. It is my opinion the U.S. Department of Veterans Affairs (VA)’s should more actively feature this benefit in their informational materials and publications. I understand that eligible veterans have a variety of tools and resources available to them through the Veterans Affairs Benefits Administration’s Home Loan Division. I applaud the VA’s efforts to ensure that eligible veterans have the opportunity to become a homeowner, and I would like to highlight a program in the State of New York to make homeownership one step closer for many veterans. Specifically New York State veteran homeowners are eligible to receive a significant reduction in the assessed value of their primary residence that can save these veterans several hundreds of dollars a year in property taxes. This tax credit could serve as a powerful inducement to encourage younger veterans to consider becoming a first time homeowner, however many veterans, particularly younger returning veterans are unaware of this benefit. In Nassau County, approximately one in three veterans has not applied for this exemption. Veterans living in Nassau County who served at the time of the Persian Gulf Conflict, the Vietnam War, the Korean War, or World War II can receive a 15 percent reduction in assessed value. 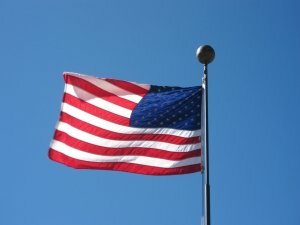 Plus veterans who served in combat zones (including recipients of expeditionary medals) are entitled to an additional 10 percent reduction and veterans with a service-connected disability can receive an additional reduction equal to one-half of their service-connected disability. For example, a returning veteran who served in combat in Afghanistan with a 20 percent service-connected disability is entitled to a total of 35 percent assessment reduction, which would save hundreds of dollars a year on a home in Nassau County depending on the assessed value. I am concerned that veterans in New York are unaware of these special opportunities and therefore are not taking advantage of this exemption even if they are eligible to receive the benefits. As a result, I urge you to consider including the NYS veterans property tax exemption form in their information packet that is provided to veterans when they apply for their home loan certificate through the Veteran Affairs Benefit Administration’s Home Loan Division and to inform veterans about this benefit as they are discharged. In addition, I urge the VA to compile and provide a bi-annual list of veterans to localities and county executive departments as they return home. This will allow localities that distribute veterans benefits to reach out directly when new benefits and services are available to them. I believe strongly that the federal government should do all that it can to ensure that our veterans are helped and this is a simple way to ensure that veterans are aware of this benefit when purchasing a home. I write today to call your attention to an issue that I know is of great interest to your organization: helping our nation's veterans. Specifically, I want to encourage you and your member companies to collaborate with the State of New York’s governmental and non-profit and veterans groups to help spread awareness of New York’s outstanding veterans’ benefits available to our young soldiers returning home from Iraq and Afghanistan that will allow them to afford a home. As a powerful trade group that represents Facebook, Google, Yahoo! and others, as well as their global community of users, the Internet Association has powerful tools to get information directly to our nation's heroes. Given that platform, I would like to call your attention to New York State’s property tax exemption for veterans. Some of your member companies have already engaged in some innovative efforts to help veterans, and I believe that improving awareness of housing benefits would be right up their alley. The New York State Veteran’ Property Tax Exemption enables municipalities to provides a partial exemption on real property taxes to veterans’ of defined periods of war, veterans who received expeditionary medals, and certain family members. This benefit, available at different levels depending on whether the veteran served in combat and/or was disabled, can provide significant cost savings when purchasing a home. For example, a returning veteran who served in combat in Afghanistan with a 20 percent service connected disability is entitled to a 35 percent property assessment reduction, which would save hundreds of dollars a year on a home in Nassau County. Though this benefit can save veterans in New York hundreds of dollars in property taxes a year, data that shows nearly one in three veterans in Nassau County have not applied to utilize these local property tax exemption benefits that are available to them. As a result, I believe that your organization should make working with local and national veterans groups to reach younger veterans and boost awareness of benefits in new ways a top priority. Some of your member companies have already engaged in similar, outstanding work that serve as examples of internet outreach and collaboration with veterans. For example, Monster teamed up with Military.com to create the Veteran Employment Center to provide online resources for Veterans to find jobs and partnered with the VA to provide discounts to veteran own businesses to post job openings for veterans. Google created http://www.googleforveterans.com, which includes free Google products to help veterans and their families. A similar online promotional campaign aimed at helping veterans in New York know what benefits are available to them when buying a home would be a good way to leverage the technological sophistication and reach of your organization in a way that would help returning service members achieve the dream of homeownership and save money to provide for their families. I am concerned that veterans in New York are unaware of these special opportunities and believe your organization can remedy this information deficit. Thank you for attention to this matter. If you have any questions please do not hesitate to contact me or my staff. Subject: LongIsland.com - Your Name sent you Article details of "Schumer: Nearly 1 in 3 Nassau County Vets Don’t Utilize Property Tax Benefits"